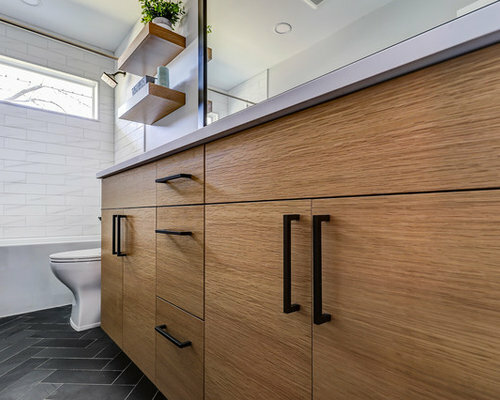 Updated main bathroom has a modern feel with Kohler undermount sinks and matte black bathroom faucets and shower trim. 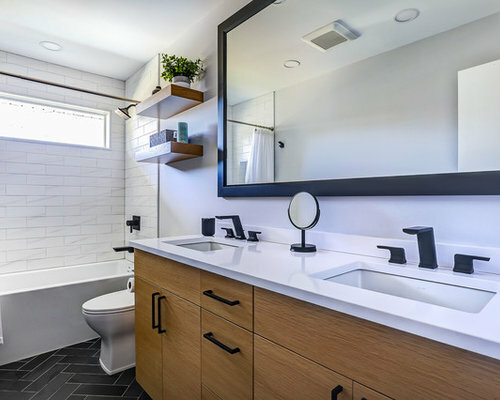 Black herringbone floor tile and white shower tile contrast and tie back to the stark white counter tops and black hardware. Light and bright thanks to the transom window in the shower! Natural wood flat panel bathroom vanity. Photos by VLG Photography. 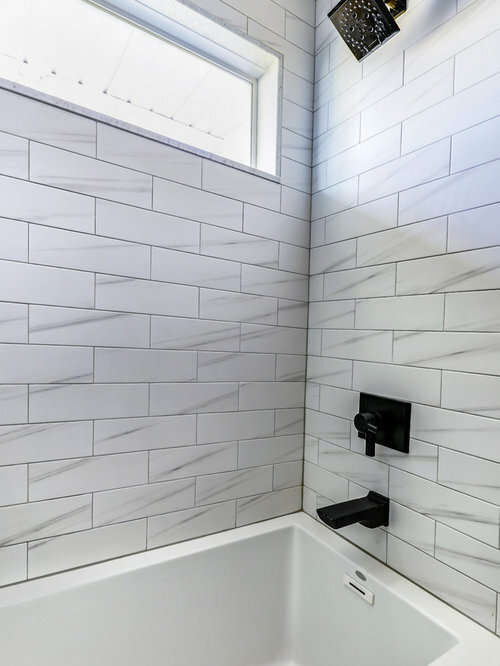 Matte black shower and bathtub trim stands out very nicely against the white shower tile. Photos by VLG Photography. 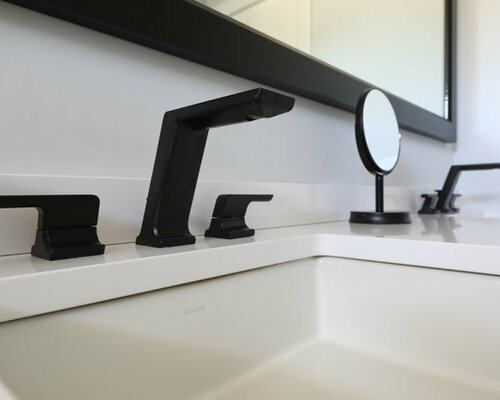 Matte black stands out against the stark white counter tops. 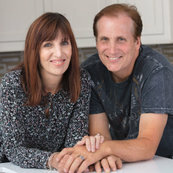 Photos by VLG Photography.